Picaso-Systems, manufacturer of acoustic and optical passenger information systems for rail vehicles, employs a total of 36 employees. Since its inception in 2007 previously Meister Electronics, the company has grown steadily opening up new fields of business, new technologies and new international customers making Picaso-Systems one of the leading providers in the market. In addition to customized and configured passenger information systems, Picaso-Systems is the only company worldwide to develop and distribute stand-alone modules for data transmission at up to 500 Mbps over existing 2-wire lines. 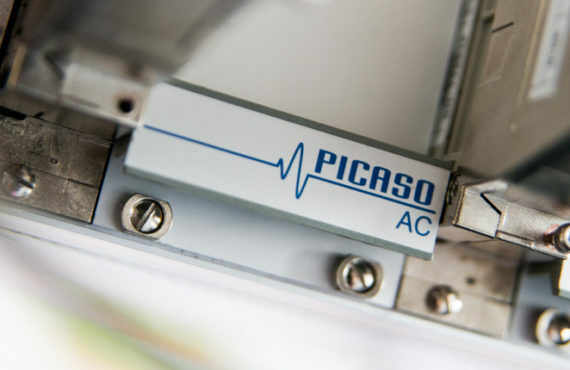 Picaso-Systems also operates a cable assembly at the Brieselang site, that manufactures and supplies individual cabling products in any quantity. A specially developed Signal Generator is one of the state-of-the-art products in the field of Signal Generators in the rail vehicle sector.